Hello. 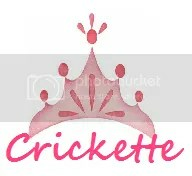 I am Crickette Inserto and I am a DENTIST by profession. Before taking my oath as a dental practitioner, writing was and still is, my first love and being a DRAMA QUEEN is something that I am truly known for. The Drama Queen Can Tell Stories has been in existence since 2008, via Blogger. In December 2016 I made the decision to migrate and move homes because people do that sometimes, people move on from the past–and I have. I have decided to start a new leaf and to do so in an entirely new environment, here in WordPress. When I started blogging in 2004 it was much different. Today there are far too many bloggers and perhaps my existence here do not weigh much, but it’s not really why I do this. I write because it placates me and this gives me a perfect venue to pour out my thoughts and emotions. This blog is a great representation of who I am and my stories, although it may be trivial to some, vividly sculpted my persona. If you are a reader from Blogger, know that it will just be a continuation of that. I write about all kinds of things: places, food, music, movies, poetry and work. I write about experiences (may it be happy or sad); and I write about my family, my friends and my dog. Sometimes I write about the government, and interesting current events, without claiming expertise. I am a passionate writer, that is what I am, and it is evident in my writing.